Impresionante localización. 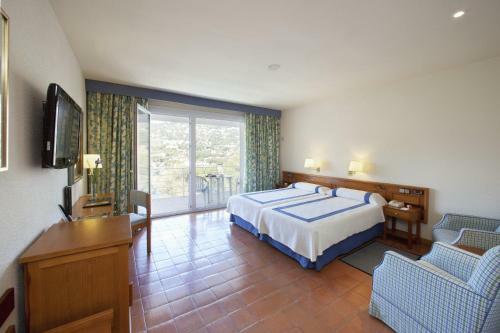 Unas habitaciones muy comfortables y grandes. Las vistas son increibles. El desayuno muy completo y abundante. Y la zona ofrece muchos atractivos para visitar, tanto en la costa como en los pueblos medievales en el interior. Os lo recomiendo vívamente. 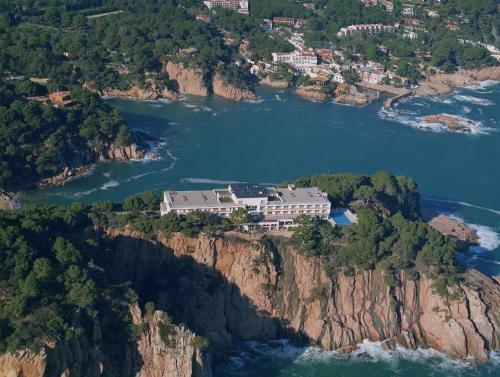 El Parador de Aiguablava se encuentra en la rocosa Costa Brava y está rodeado de pinares. Sus habitaciones ofrecen espléndidas vistas al mar y hay una piscina al aire libre. Las habitaciones del Aiguablava Parador son amplias, presentan suelos de baldosas y disponen de aire acondicionado, conexión Wi-Fi gratuita y TV de pantalla plana. Algunas incluyen terraza o zona de estar. El Aiguablava Parador cuenta con una sauna y una amplia terraza con tumbonas. Este hotel alberga 2 restaurantes, unos de ellos en el edificio principal y el otro en una playa cercana. Ambos sirven comida tradicional de la provincia de Girona, como marisco fresco. El Parador de Aiguablava está a menos de 1 km de la preciosa localidad medieval de Begur, que cuenta con una amplia variedad de bares y restaurantes. Los alrededores son ideales para pasear y practicar deportes acuáticos, como windsurf, buceo y piragüismo. Girona y Figueres se sitúan a 1 hora en coche. Restaurant was over priced and not great in quality. Best to go to Begur to eat. La situación y caracteristicas de la habitación. Le falta modernidad y mejora de la estetica. La situació és excepcional, el menjar és molt bo i de qualitat, l'atenció del personal és molt agradable. El millor de l'habitació són les vistes. Hi havien obres que feien soroll, no ens van canviar les tovalloles i en el restaurant i havia un grup gran que feien força soroll i el personal no va fer res per intentar minimitzar-lo i molta gent es va tenir que canviar de taula perquè no podia sopar tranquil. El enclave fantastico , ideal si te gusta el senderismo , la comida muy buena. La situación, a pesar de que hacía muy mal tiempo y no pudimos disfrutar de las ventajas de estar en plena costa. Las instalaciones necesitan una remodelación. El personal de recepción poco amable. La ubicación del hotel es espectacular por las vistas y la tranquilidad del lugar. La habitación con bañera de hidromasaje era todo un lujo: cama de matrimonio de gran tamaño, baño completo y muy grande, incluso una pequeña zona de gym. El estilo del hotel quizás sea un poco anticuado, un poco ochentero. El precio excesivo del desayuno 18€ por persona y encontrarme 2 cucarachas en la habitacion.una debajo de la cama y otra en la cortina a la mañana de marchar. Calidad precio muy mal,por ser un parador me ha decepcionado mucho!!!! El wi-fi no funcionaba, lo encuentro muy mal...el secador arcaico. Les vistes, que són espectaculars, però cal assegurar-se una habitació amb vistes a mar obert. Els interiors molt freds, poc acollidors. El wifi, fluixíssim, pràcticament no es detectava. Em sembla una gran falta d'atenció i, fins i tot d'educació, que ningú del personal ni parlés, ni tan sols entegués el català. Le calme et la beauté du lieu. Evening meal only average, not good value for money. Stanze enormi tutte con balcone vista mare. Parcheggio comodo, Wifi in tutta la struttura. La colazione troppo cara, con € 18.00 ci mangio tre giorni. Propreté de l'établissement. Gentillesse et disponibilité du personnel. Emplacement exceptionnel. Qualité du petit déjeuner . Dinertijd is gelukkig aangepast aan noordeuropese normen, we konden gelukkig nu om 7.30 uur aan tafel i.p.v. 9 uur, wat het een paar jaar geleden nog hrt geval was. Voor de rest een uitstekend hotel op een perfecte plek. Mycket fint läge. Fint frukostbord. un cadre magique;Une vue et un lever de soleil de notre terrasse sublime. picturesque, open feeling lobby and sitting areas for leisure were large. Our superior room was very large but bizarre with over-sized bathtub and exercise equipment in the room. Furniture and furnishings look very tired. Staff was helpful and very pleasant. We stayed two nights and both nights after dinner when a neighboring room used the bathroom, we would have an overwhelming sewage smell. We had to open windows and spray perfume to camouflage the odor so there is an obvious problem with the venting between rooms. 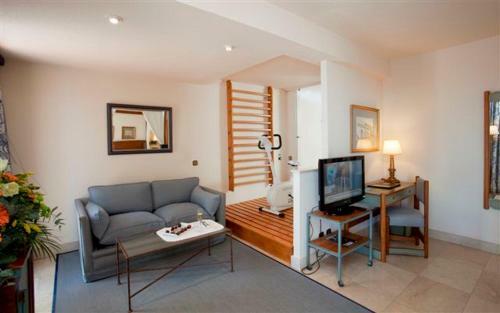 Lovely relaxed atmosphere, gorgeous Mediterranean views. good location & view ,rooms are big. Beatifull view on rocks and sea. Nice bar, restaurant and swimming pool area. 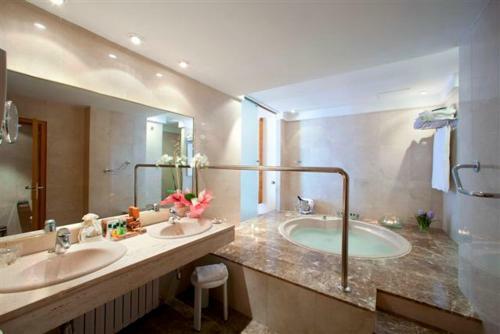 Big room, bathroom and balcony. Nice and friendly staff. Very nice beach not far from hotel. Free wifi and parking lot. Hotel requires renovation. Rooms are very modest and old-fashioned. You can hear every noice comming from your neighbours bathroom or hall. From this perspective in our view value for money is not very good, but astonishing views on rocks and sea are worth having at least lunch there. Fantastic location for views and small beach. Lack atmosphere of hotel nearby but location makes up for any deficiencies. Accommodation & staff were excellent. Location is outstanding. Room was fabulous. Food was expensive and not very inspiring. Views are fantastic Externally building drab but inside is very interesting and has great quality. The location is spectacular. The gift shop. The artworks. The hotel design is lovely: modern, airy, spacious. Looks as though its been refurbished recently. Lovely art on the walls. Good sized bedrooms. Fabulous views over the cliffs and sea. 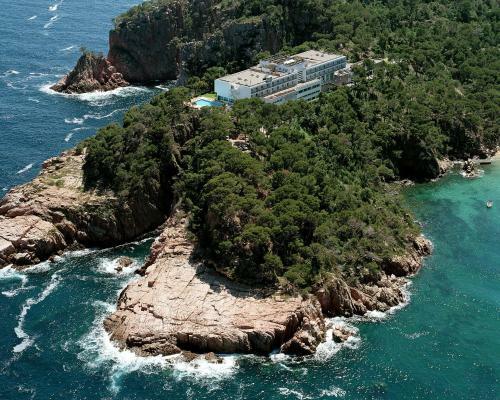 Well located for visiting other beautiful bays and interesting places on the costa brava. Perhaps not enough room to sit around the pool. Wonderful views, great pool, courteous and hospitable staff. We had a half board with our stay and the food was delicious. The room was clean and comfortable but not luxurious. Handicap accessible as we watched a family with a grown child in a wheelchair in the pool and dining room. Begur is a challenging drive from Cadaques, an hour and a half along winding roads. This is nothing against the parador. The hallways have a "beachy" feel and could use some updating. The location is stunning (isolated without a car) and the modernist building fantastic. I think there need to be more staff. The location is spectacular. Rooms are spacious and although somewhat dated, very comfortable. We love the location and everything about this hotel. We keep coming back over 48 years! The location is excellent and the hotel itself is very good.The staff were very helpfull. We liked the surrounding area very much indeed. It is a very relaxing resort. The breakfast was very good, but dinners were not. The main menu never appears to change, although ta local fish menu varied daily. The cooking itself was uninspired and not up to expectations. Aiguablava is perhaps the most beautiful place I've ever seen, so I definitely liked that. 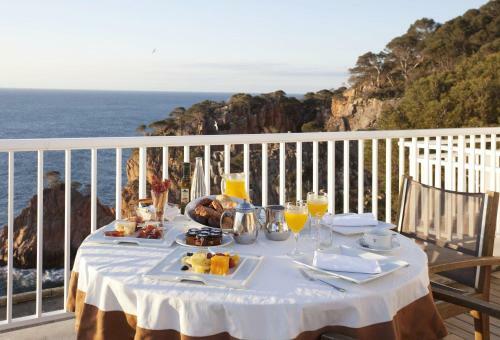 The hotel offers amazing views of the ocean and the cliffs around it. The design of the entire hotel is very nice and spacious. I loved the path that led from the hotel to the beach, it was a beautiful walk to the little beach below. The pool was nice, quiet and had amazing views of the ocean. The front desk staff were very helpful and kind. The only thing that prevented this place from being my own personal heaven on earth was the price of the food available. Without your own car, there were four restaurants available including the restaurant at the hotel and the restaurants at the beach (the hotel's restaurant on the beach was closed for renovation) all offering the same dishes for the most part and all very expensive. There wasn't a cheap lunch or breakfast option. The food was great and probably deserved to be priced as it was, but we didn't want to spend 36 euros for every breakfast, or 50+ euros for lunch, or 100+ for a good dinner. I felt like I was a little trapped by our food options. Of course it was great food, but for our budget I would've liked to have more options available as far as price goes. Wonderful position and views. Parking, interesting local food offered. Easy drive to Dali Museum and other locations, yet very secluded. Very hard to find even with GPS assistance. Clearer instructions and address details would be helpful. Excellent service, very good food. Position to die for! Renovation work taking place restricted pool access. The location is superb, the decor and ambience relaxining, the facilities excellent. This years dinner menus in the restaurant seemed to be a bit more restricted than we remember from last year. 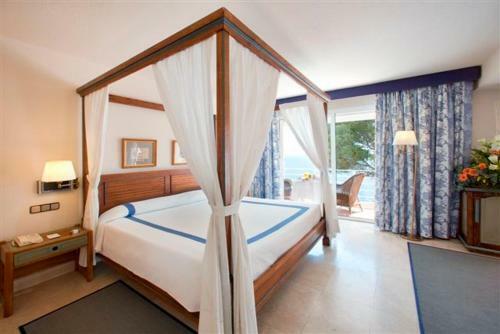 The location and the views and the comfort of our bedroom. Did not like same menu every day at dinner in restaurant. What is not to like!!! Absolutely beautiful site and experience in every way...from locale to the rooms to the food and the staff. Magnificent setting and panoramic views of water. 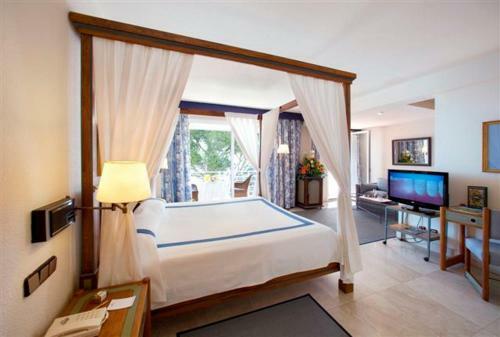 Large luxurious room, first rate restaurant, and friendly helpful staff. Fantastic views of rocky Mediterranean coast. Lots of quiet lounge areas around the hotel. Easy access to a secluded beach. Two excellent lunch restaurants on the beach (not affiliated with the hotel). Remote location. Helpful staff overcame somewhat limited English. Only twin beds in the rooms (although they can be pushed together). The bar sandwiches are better (and better values) than the mediocre, overpriced food in the restaurant. 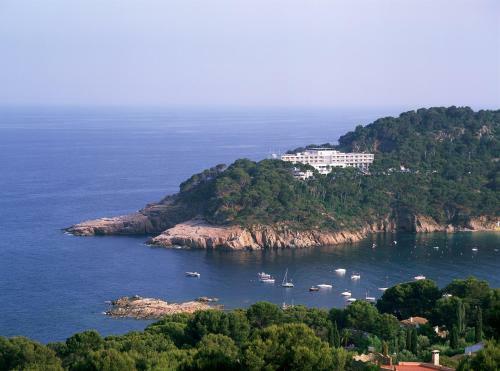 Remote location means 10-15 minutes to main roads to get anywhere else in Costa Brava. Beautiful scenery from the room. The view - magnificent! The seagull colony the hotel shares the site with. The very friendly staff. The superb breakfast. The coffee served at breakfast.